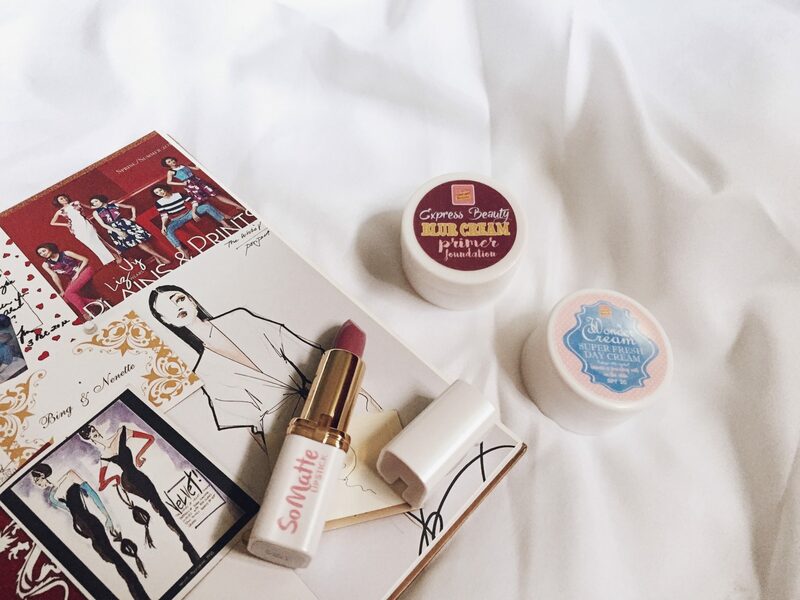 Having a selfie-ready, fresh-faced and poreless look is a must when applying makeup. I’m no expert when it comes to it, but having a flawless coverage is key for everything. It’s that simple make-up trick that will make you look better for important occasions or even just a casual meeting. Several weeks ago I got a beauty package from Sooper Beaute, a local brand which offers affordable skin care and beauty products. Introducing their Poreless Skin Essentials: Express Beauty Blur Cream Primer Foundation and Wonder Cream as an addition to their beauty lineup. They’re best used for people with oily or combination skin. Since I have an oily skin type, I usually go for a liquid foundation with a velvet finish or a matte pressed powder to avoid being oily through the day. I never use BB creams or CC creams so these products are fairly new to me to try out! What I like about this Blur Cream is its consistency and how it glides smoothly when applied. It’s super lightweight and it does blur imperfections such as fine lines and pores. For me, it kinda looks like a tinted moisturizer and face cream in one with a light scent. It sets my foundation and lasts for about 4-6 hours before I touched up. It also has SPF20, perfect for those girls who are lazy to apply sunscreen, just like me! 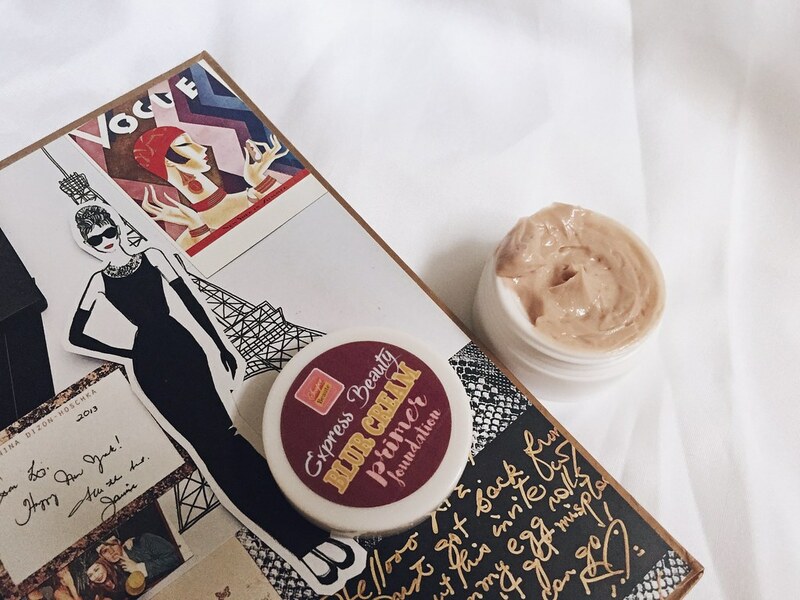 This Wonder Cream has a really creamy texture and dries to a velvety finish. It’s lightweight and has a mild powdery smell. So I applied it gently on my face and blend it out evenly. You have to apply small amounts and blend it immediately since I kinda had a hard time blending it once it was already set. I find it too light on my skin since I have a morena complexion. What I like about this product is that it hides pores and blemishes. So if you’re dealing with an oily or combination skin for that no-filter needed look, these are just for you. To kick-off 2017, I’m giving away a set of Sooper Beaute Poreless Skin Essentials to One (1) lucky winner! It includes one (1) Express Beauty Blur Cream Primer Foundation, one (1) Wonder Cream Super Fresh Day Cream, and a bonus one (1) So Matte Lipstick in Lyra. All you have to do is just fill in the Rafflecopter below. This giveaway is open to Philippine residents only and will run until January 31, 2016. I’ll announce the winners after a few days on my Instagram at @camilealdriene. Thank you in advance! This is a sponsored post by Sooper Beaute. The products were sent by the brand in exchange for an honest review. All thoughts and experience stated in this post are entirely my own. I wanna try Sooper Beaute’s Poreless Skin Essentials because I’m in between dry and oily skin. I’m always having a hard time choosing for a regimen for my skin care and since I knew Sooper Beaute, their products are really made for Filipinas. It is made naturally which I really think fits for my skin. And also this new innovation from them will surely be a girl’s best friend that I can always use especially when I’m in school and during events. Hanging out with my family & friends without constantly worrying about my oily skin would be bliss. Wondering whether it’s time to reapply or not — I can say it’s quite stressful. Living uncomfortable under my skin is something I can never get used to and therefore, from all their good reviews and recommendations from others, I want to give Sooper Beaute’s Poreless Skin Essentials a try! Thank you! 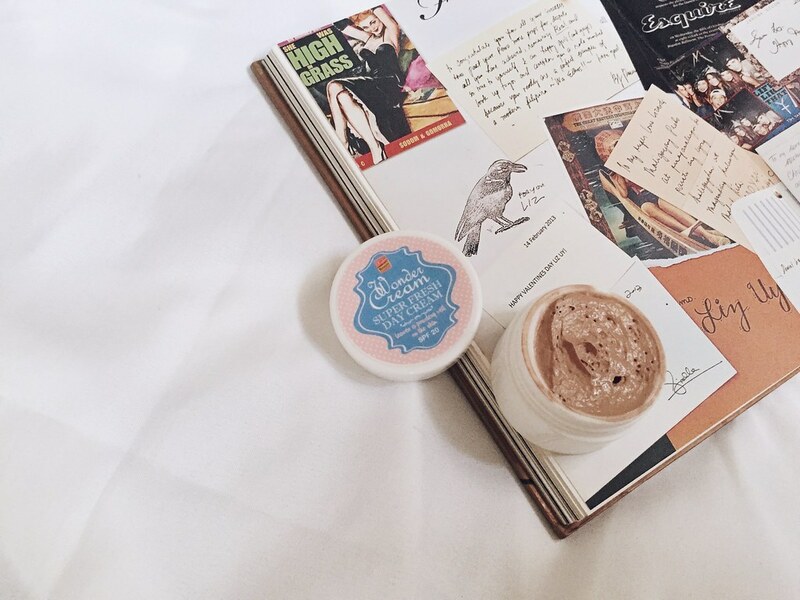 The Wonder Cream works like a powder but in cream form, so velvety! Kinda had a hard time when it’s already set though and the shade is lighter so it’s best for fair-skinned complexion! Hi Camille! Love your blog! I’m not really that fan of make ups but reading blogs and reviews about them amazes me. 😊 especially that im interested in sooperbeaute products.. Hoping to win this.